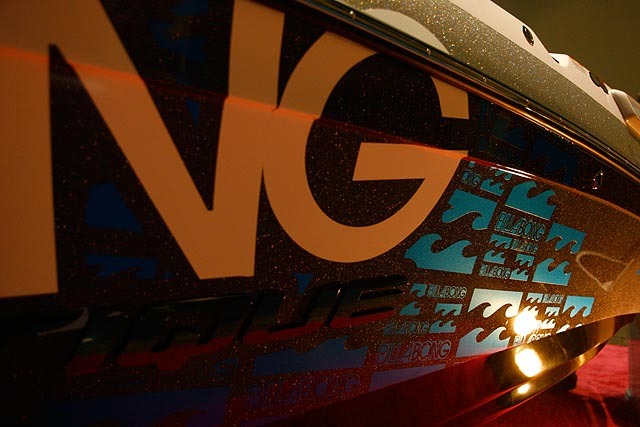 There were a lot of insane looking boats at Surf Expo this year, but the one that everybody kept talking about was Nautique’s custom edition 230 Coastal Edition for Billabong. 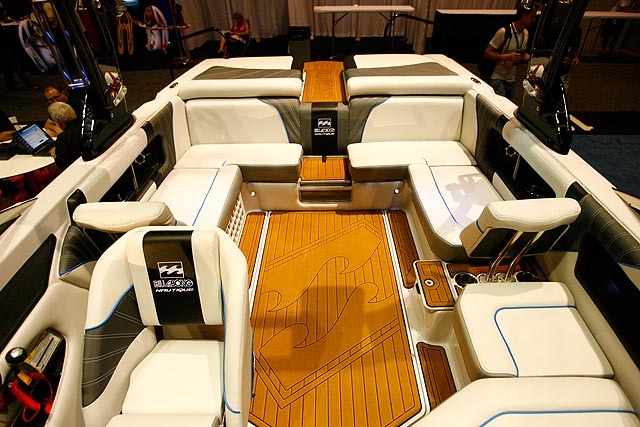 You thought a boat couldn’t get much more customized after Nautique launched the 210 Byerly edition, right? 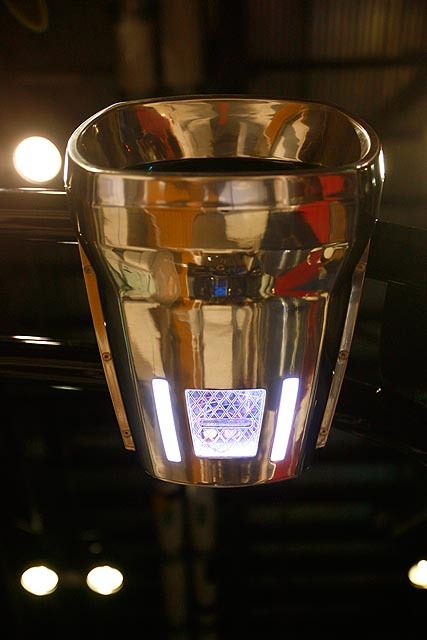 Well wait till you get a load of this thing. 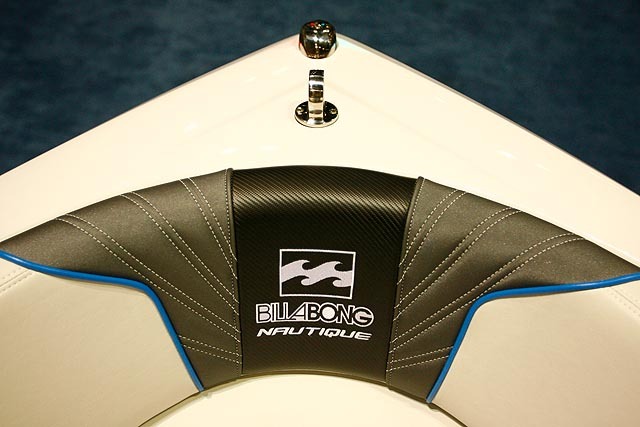 For the Billabong boat Nautique went with a whole new idea for flooring and the swim platform. 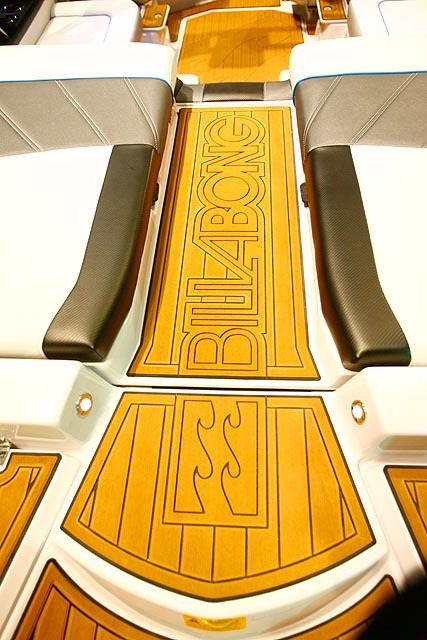 Rather than custom removable carpets, they laid down an EVA material that had been customized to look like teak — then they had it branded with the Billabong logo. 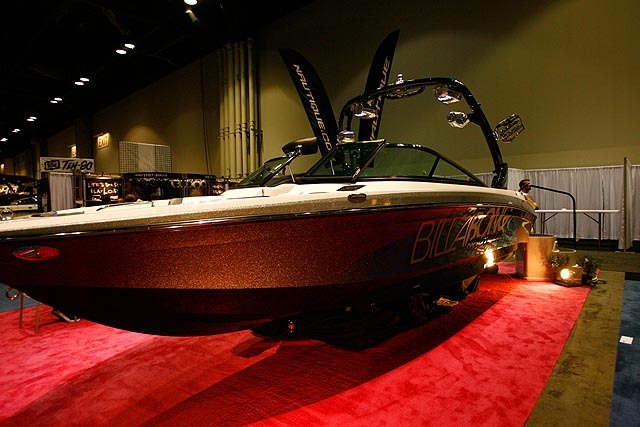 This makes the boat look very rich with the warmer brown coloring and very different from any other wakeboard boat on the market. 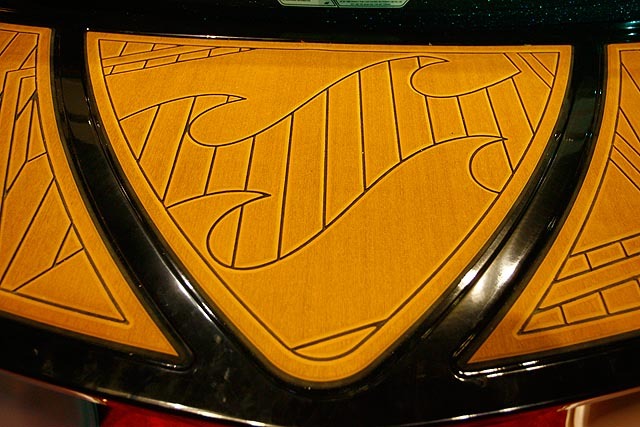 Of course, the interior is customized with Billabong stitching and logos throughout. 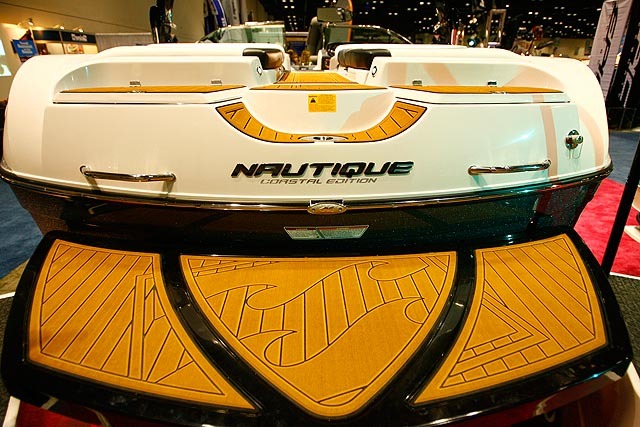 And if you’re wondering what a 230 Coastal Edition is, it’s Nautiques way of making a wakeboard boat as durable against saltwater as possible. 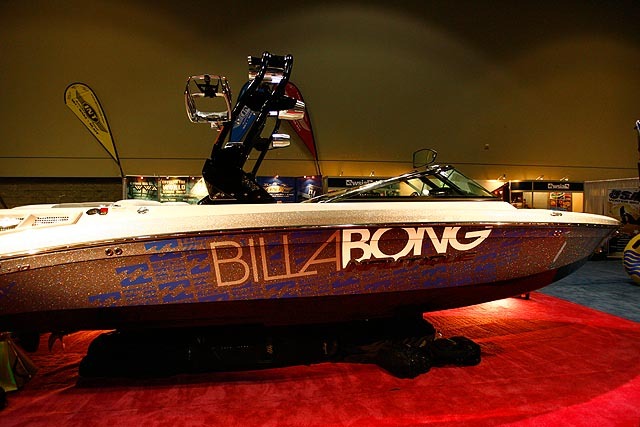 With a new, updated tower and some insane custom metal flake graphics, this boat is a sight to behold. Did a 5 year old design this tower and this boat? It is hideous. Dm…. 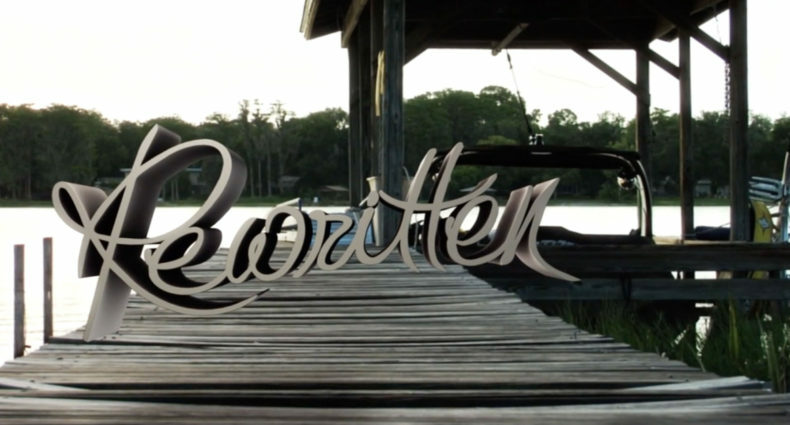 Shut your mouth.it's a sick boat,and it's probably better than the piece of crap you own. I wish I could afford one. The are nice. 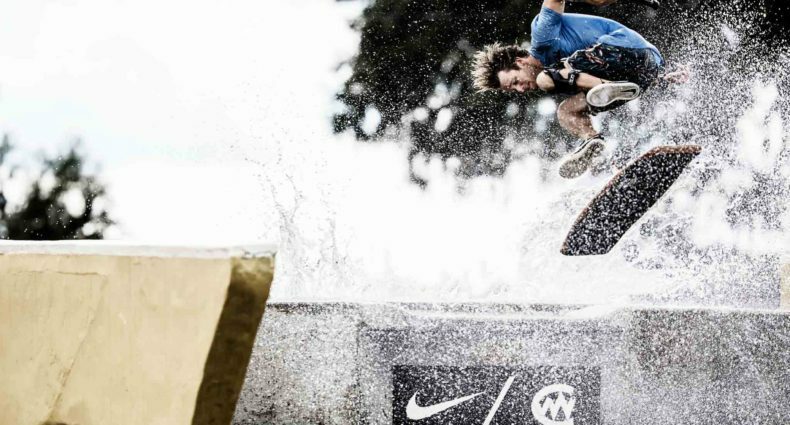 It would be cool if Hyperlite would do that! 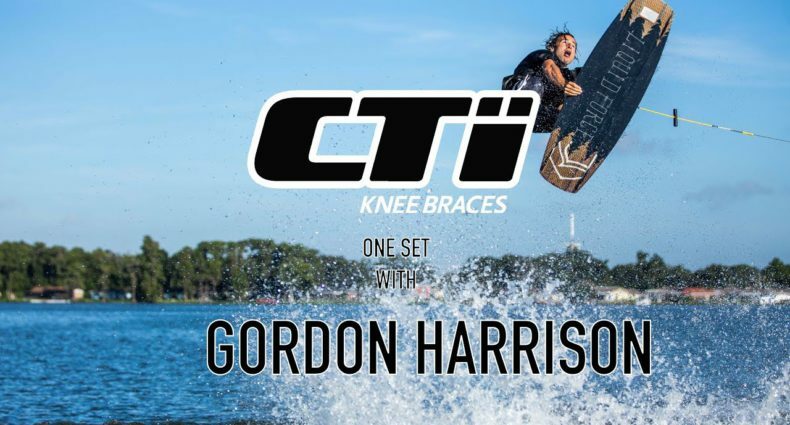 I ride Hyperlite and have a Nautique. I would def buy one of them.